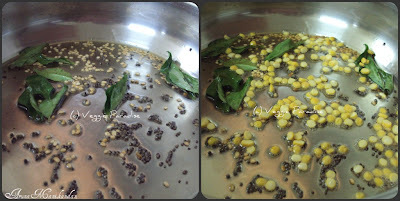 Heat oil in a pan,add mustard, when they stop spluttering add the urad dal followed by curry leaves.Add chana dhal, fry them until they turn slightly brown. 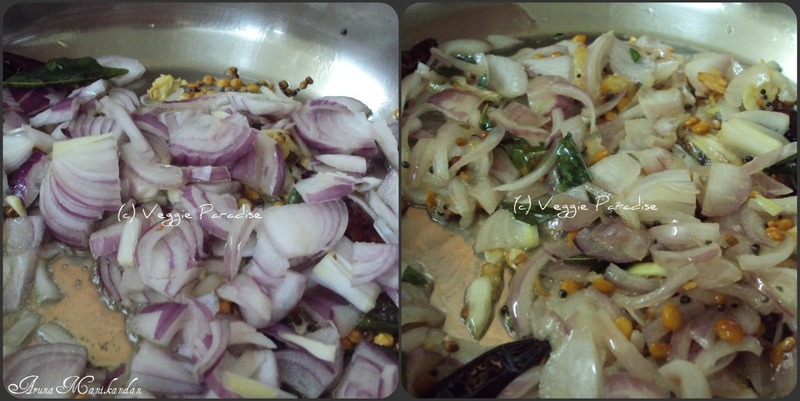 Add the red chillies ,saute it for a min,then add crushed garlic flakes and saute it well. Add chopped onions and saute them until they turn translucent. 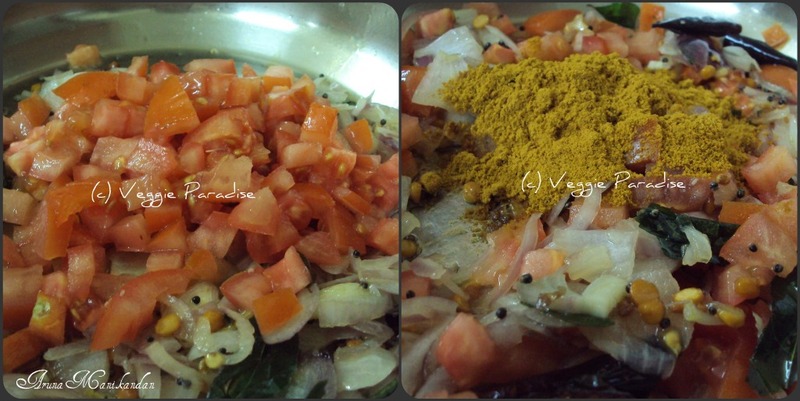 Add chopped tomatoes along with sambar powder and salt. When the tomatoes get cooked well, add the chopped raw banana and mix them gently. Add 1/4cup of water and close the pan. Keep stirring in between .Finally when the raw banana's gets softened , garnish with fresh curry leaves. Note: Use very little water for cooking the raw banana's ,if you add more water the skin peels off. So detailed pictures...so yummy looking. Thanks for visiting my blog and following me, you have given wonderful step-by-step instructions in your blog, will come back again. Lovly stepwise pics....I am tempted to have some now..
lovely and delicious banana fry. 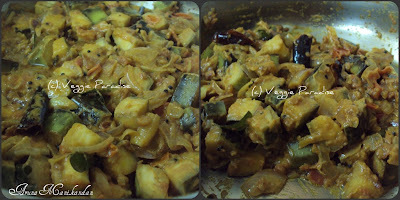 Love raw banana sooooooooo much and this looks absolutely yumm. and pictures are great dear. 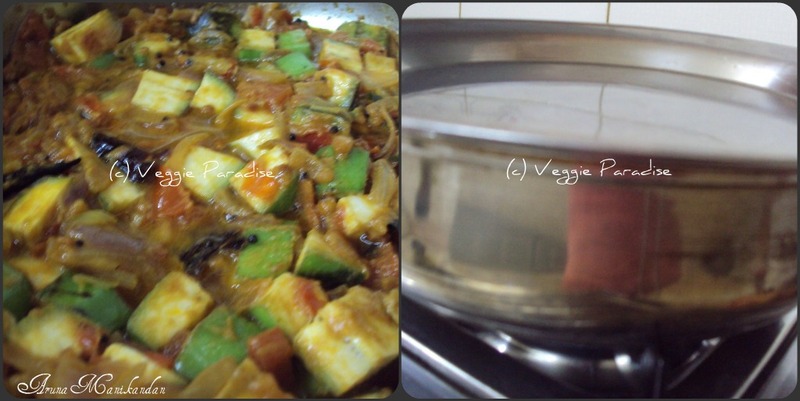 Delicious stir fry. Love anything with bananas is most welcome. 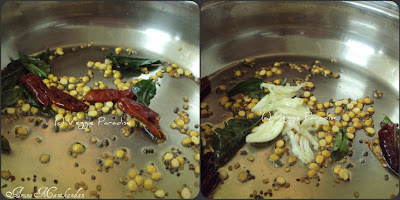 Delicious fry... perfect with rice. 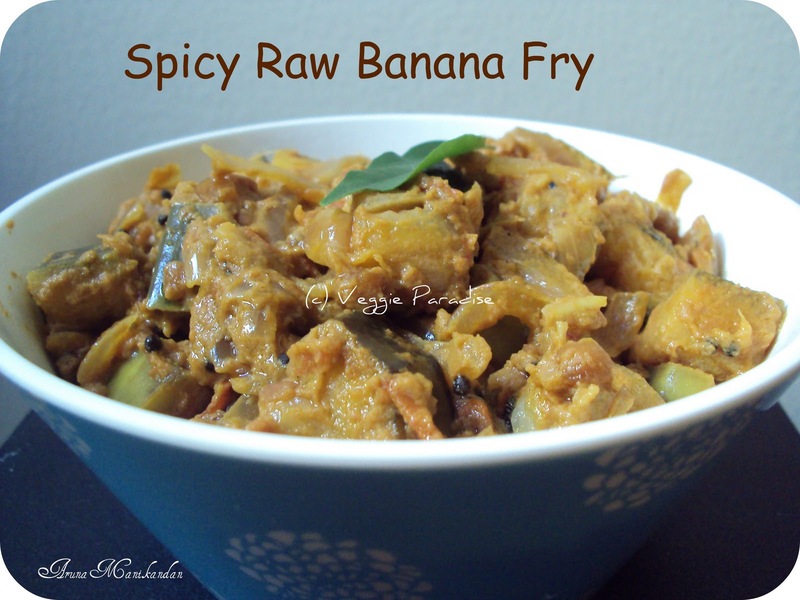 Delicious raw banana fry..Love it with rice.. Reminds me of my moms veg with raw banana. Love it. Pleased to follow you. What a healthy fry. Looks really spicy. Thanks for visiting my blog. I have never cooked the raw banana with a peel. Nice and detailed step by step instructions. Will give it a try for sure. Will come back soon. Now you are on my blogroll dear. 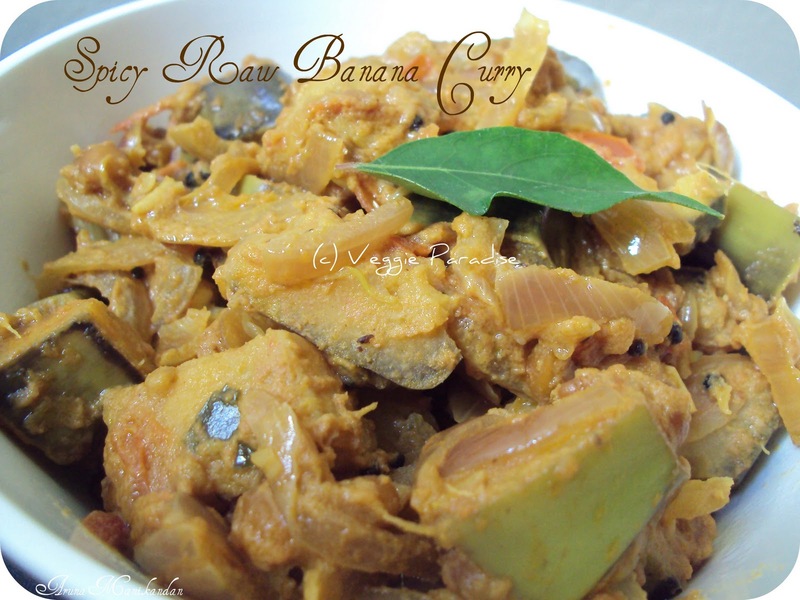 Raw banana fry looks very yummy..
Aruna, this looks fantastic. 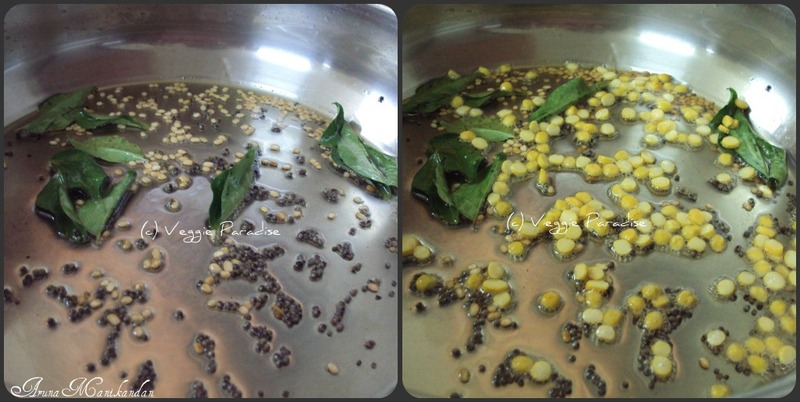 Love the step by step pictures. Thanks for the comments... Raw banana is one of my fav..like the spicy recipe..beautiful space out here..glad to foloow you too..
love the recipe and the step by step pics.Nice blog. Joined in to follow your blog too. something different to me. Looks yummy! 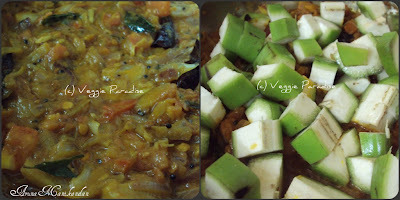 delicious recipe...nice step by step presentation.